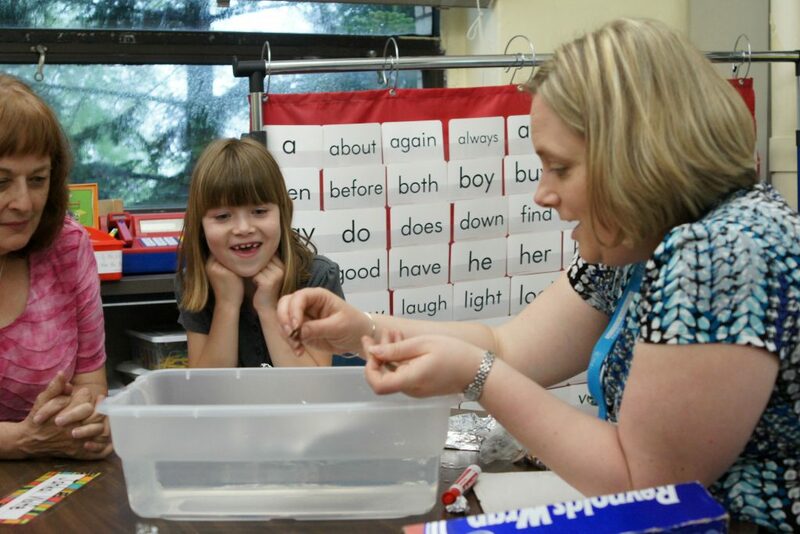 Speech Language professionals with the Allegheny Intermediate Unit (AIU) have spent decades investing in the Primary Expressions immersive learning classroom. During that time they have accrued an abundance of knowledge in the development of speech and language in young students and seen countless success stories as these students transition back to their regular education classes in second grade. It’s a turn-key solution to unlocking the speech challenges of young students. Now is your opportunity to learn firsthand of the triumphs and challenges of an immersive language classroom, participate in the discussion and consider what ideas can be implemented in your setting from this one-of-a-kind program. The AIU Primary Expressions classrooms have even been featured in eSchool News. Join us at the Apraxia Kids National Conference July 11-13 for an in-depth, roundtable discussion with these trendsetting professionals. The panel will break down both the success and challenges of operating an independent classroom in the days of limited funding, share tips for expanding the model into district-based classrooms, and brainstorm with the students, parents, and professionals in the audience to help expand and grow the Primary Expressions classroom into the future. Examining the strategies that have been successful in helping an intensive speech/language support model provide services to students for more than twenty years. Analyze the challenges faced by students with severe speech/language needs and their families while participating in traditional district classrooms models. Derive techniques to incorporate the success of intensive support model into traditional educational settings. Driving the panel discussion will be: Administrators Eileen McCartney Cirelli, MS-CCC/L-S and Heidy M. Frycke, MS-CCC-SL. Also joining the panel are classroom teacher Angela Markwood, MS-CCC-SL; diagnostician/clinician Maria Vassilaros, MA-CCC-SL; classroom teacher Jessica Zetkulic, MS-CCC-SL; and diagnostician/clinician Nicole Zielmanski, MS-CCC/L-SL. 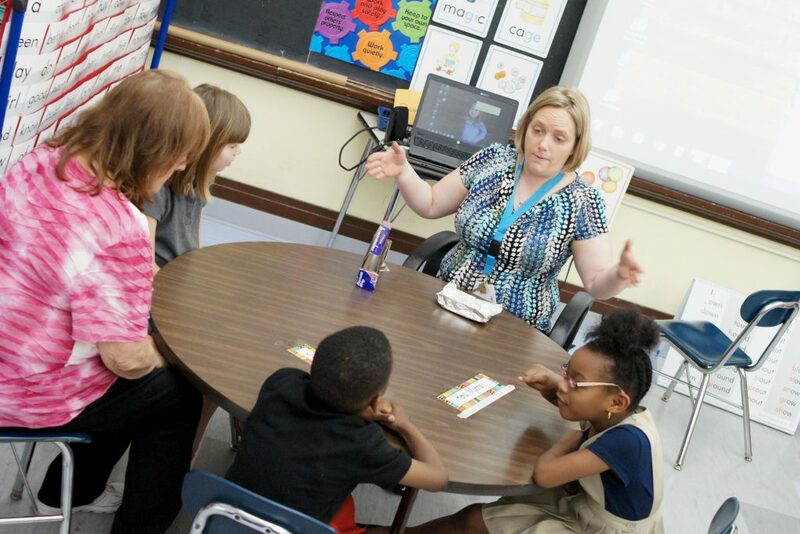 While immersive learning spaces are becoming a must-have for school districts, the AIU speech-language program has been doing it for more than two decades. The Primary Expressions classroom is an intensive K-1 program in a very small class-size setting. The all-day endeavor is guided by a licensed speech-language pathologist and follows the standard curriculum across all subjects with the added dimension of persistent speech treatment therapy. After they complete the program, students ideally then transition back to their class in second grade to be with their peers. No matter what area of the country you hail from, this topic matters. The National Institute on Deafness and Other Communication Disorders approximates that one in 12 children between the ages of 3 to 17 years-old are affected by a disorder related to speech, voice or language. The children most affected range between 3 and 6 years-old, when the figure bumps from 7.7 percent to 11 percent of the public school population. What does that mean? Early intervention now can help reduce the need for therapy later. According to the National Center for Education Statistics, approximately 3.6 million students enrolled in public kindergarten this fall and so nearly 400,000 of those can benefit from speech-language therapy. Language issues become more pronounced the longer they linger. The more quickly a communication issue is identified and treated, the faster a student can grow. Innovative techniques that are rooted in the decades of practice like the Primary Expressions classroom can provide inspiration and tools for success. Be a dream team. Everyone needs to believe in order to see the magic happen. A key ingredient in the Primary Expressions classroom is the repetition and practice opportunities. A district’s speech professionals can work with other teachers to provide additional practice throughout the school day. Take a holistic approach. Take a step back from just the speech problems and look at the whole child. An understanding of who the child is, where they come from and where they are going is also an understanding of what motivates and engages the student. Don’t be a stranger. Take the time to stay connected with former students and families. Lifelong learning is at the heart of education. Use lessons from the past to brighten the future. Realize you are not alone. Never fear asking for outside help. Contact your local educational service agency or a group such as Apraxia Kids for additional support and resources. Every school district and individual student has different circumstances and needs. Join in this discussion and help our profession continue to provide a profound impact on the students we serve.